The last time I saw you in Manchester was at a Sony PlayStation party, you were teaching Mario Balotelli to spin a few tunes, do you think he had skills? Yeah man, Mario's a cool guy, he has so much swag and confidence, he could take over the world, that guy's special, he ain't no joke, he does Manchester proud. Sometimes you don't see these big stars except for in the big expensive clubs and they're not close to the people but Mario's real down to earth. 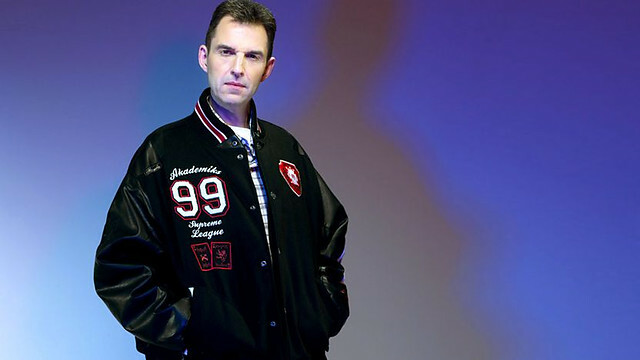 The first time I became aware of Tim Westwood was in 1987, Tim Simenon of 'Bomb The Bass' had just released his début album 'Into The Dragon'. 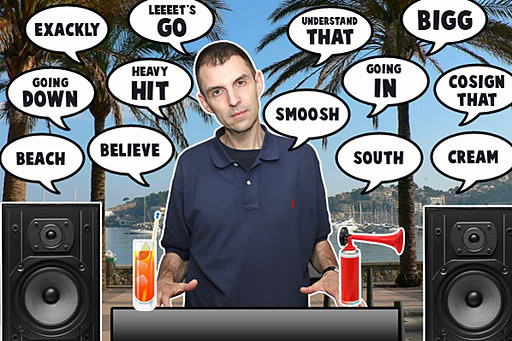 Each track was introed with an analogue radio tuning in to stations around the world, Westwood was the announcer before the Megablast rap version. He was doing his Capital Rap show at the time. The album was made for £500 and went on to be a classic and undoubtely inspired at least one young kid growing up in the Cumbrian wilderness to save up for some 1210's and a pair of Ortofons - desperate to learn how to scratch. With a cameo and name check on that piece of Vinyl - for me, that's Westwood immortalised right there. The grime style you've pioneered has well and truly shifted from it's early underground roots to now appearing fully crossed-over, it's like you're now grinding it out, are we grinding the grime? I can't take personals for that, but yeah, right now, it's the hip-hop generation we live in, this is what today's youth IS man, it's been around for long enough now, people have grown up with it. 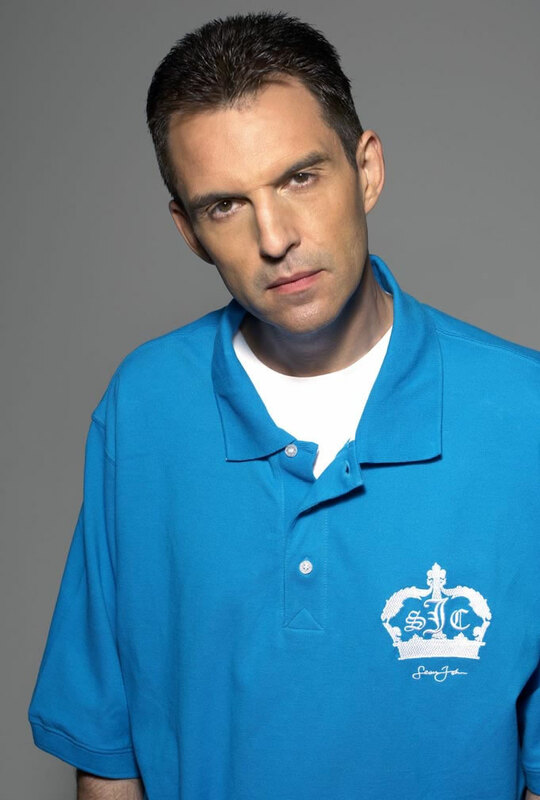 I've got a CD on free download that you can get from www.TimWestwood.com and as you know I’m always on the radio just blasting it out. I've got my YouTube channel which is real crazy, crazy hits on there, I'm really proud of that, let's just keep it going man. I was talking with Misha B last week, she was telling me how important 1Xtra has been for her as a new Urban artist, as the longest serving DJ on the Station - you must be proud of what you've achieved so far? For sure, 1Xtra has done a great job out there and the stories not over yet, now we're into this era of new media, there's so many new things out there that contribute to the success of artists. It is very exciting. Westwood on TV - I saw you on Never Mind the Buzzcocks last week - do you enjoy your TV appearances, are you still doing the UK's Pimp My Ride? No Man, that's all done now, once they dropped the show in the states it was just a matter of time before it went here, I loved it to death though, I did my thiing on there and we had a lot of fun. I'm very proud to be part of it. And being on Buzzcock's is hilarious, Noel Fielding and the guys are a lot of fun. You're in Manchester next on 14th December 2012, what can we expect? I love it in Manchester, so we want to do it right, we want local people, people from the University and Manchester M.E.T, we do it free for girls, only £7 for guys, they're some of my favourite parties, they definitely compete with anything else we do especially in London. Who's hot in Westwood's bag this week? Right now there's artists from all over the place that I like, I tend to play a lot of the big club records, American Hip-Hop, Reggae, Bashment (Dancehall) and Afrobeats, and I do like to play UK music, people like Lethal Bizzle.